Call 860-578-8985 to schedule your first appointment. If your hearing is deteriorating and you want a reliable solution, come to Miracle-Ear®. Our valued customers get the quality care they need each every time they visit. No matter what type of hearing disability you happen to have, we're confident that your quality of life will improve with one of our products. We provide many types of hearing aids in Middletown, CT, so let us walk you through your options. We take pride in going above and beyond to give our customers a second chance at hearing with clarity. We've centered our attention on the performance of our products. When you take advantage of a hearing solution with GENIUS™ technology, you can expect to be amazed because all of our units have high-definition sound capabilities, excellent durability, and long battery lives. Not being able to hear your peers, the TV, or your favorite tunes on the radio can really be upsetting, and that's why we know you're bound to benefit from our services. Let us help you get back into the conversation. Are you ready to discover and experience the Miracle-Ear advantage? We'll give you a free hearing test. * We'll also make it a point to tailor our services accordingly because we'll be committed to meeting your expectations. That's why you can put your trust in us. For more information, call us today, or just visit us if you live in Middletown, Cromwell, Middlefield, Portland, Rockfall, or a neighboring area. Shaun has worked with Miracle-Ear for 5 years as a Hearing Instrument Specialist. 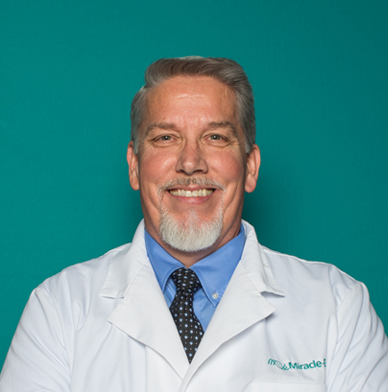 Shaun holds a state of Connecticut license as a Hearing Instrument Specialist and is a member of the International Hearing Society. Shaun's favorite part of working with Miracle-Ear is helping people get more joy out of life.